With the conclusion of SCG Richmond last weekend, we are set up for a weekend of Team Sealed in Louisville. It’s not exactly the most exciting tournament for a reader of Modern Nexus. The following weekend, however, is a Star City Games Open in my home city of Orlando! I’m working on a tweak to an existing archetype that will hopefully give me the edge that weekend. Unlike fellow Modern Nexus writer Ryan Overturf, I think Bedlam Reveler will be really good for me in the coming weekend. That’s because I intend to use it not in Delver, but in Burn. Burn and I go way back. Well, I guess it depends on how you feel about the term “way back.” Almost all of last year I played Burn at PPTQs and managed to top-eight three of them in two weekends without managing to put one away. I also played Burn to my best Grand Prix finish at Grand Prix Pittsburgh in 2015. It was a much simpler time. Molten Rain was a three-mana Time Walk that defeated many Tron opponents. But we’ve had some changes and new cards come out that make me want to go back to the drawing board. I know I can be successful with stock lists of Burn. With cats, without cats—as you can see from the SCG Richmond Classic, both are viable options. But I want to take the next step for the specific metagame I’m expecting in Orlando. As of this article, the five most popular decks make up about 30% of the Modern metagame. I, however, have some additional knowledge that I’d like to use to slant the odds in my favor. Being a resident of the city the Open is in, know a lot of people that will be going. I’ve been to many tournaments in Orlando and in the surrounding cities that are likely to bring people to the tournament. Jund and Abzan are by far the most popular decks. Affinity is also fairly popular and past that it’s just a bunch of people playing a different deck every week. I want to tune my deck to be able to beat GBx decks first and foremost. I believe focusing on those matchups will bring me the most wins. From my extensive experience with the GBx matchups, I only lose the games where they are able to mitigate some damage via discard spells and then land a large threat (usually a Tarmogoyf) without taking much damage from their lands. The inclusion of Grim Flayer in some of these lists only exacerbates the problem of threats being able to close down the game too quickly. You can’t often profitably trade with this likely 4/4 and you’re quickly put to the test of emptying your hand before Liliana of the Veil does it for you. Another big problem is the more recent addition of Kalitas, Traitor of Ghet. I don’t know if he will still have a spot after the arrival of Grim Flayer, but it’s likely I will run into some decks with either of them. Kalitas is the perfect finisher for Jund against Burn. It’s likely better than Kitchen Finks in a lot of spots because it can gain the Jund player a steady stream of life. Every time Kalitas deals damage to something it means the Burn player needs to play one more spell. Sometimes it brings the Jund or Abzan player from 1 life to 4 life, which can still be answered by a timely Boros Charm—but when they go from 6 to 9, or 8 to 11, you quickly realize there is almost no way to win the game. I want to remove Burn’s inability to draw into a relevant later-game threat. Against Affinity the quickest thing I’ve realized is that I’m missing out on the “Affinity can’t play Magic” sideboard cards. My current list didn’t have Stony Silence, Kataki, War’s Wage, Shatterstorm, etc. We can fix that problem pretty easily. With a few tweaks to the deck, I think Burn can take advantage of Bedlam Reveler. I came to this idea while watching Sam Black’s videos with a Bedlam Reveler Burn deck which, in my opinion, took it a little too far. Listen, I know Sam is a great Magic deck builder but there’s no way I’m going to write “4x Manamorphose” on my deck sheet instead of Goblin Guide. My plan is to change the maindeck and sideboard to support Bedlam Reveler for better game against the grindier GBx decks. Watching Sam’s videos, I will concede that I am interested in playing Gitaxian Probe. In a deck chock full of one-mana 3-damage spells, I would rather play the minimum of two-mana analogs. Probe allows us to sculpt a game plan that doesn’t involve our Goblin Guide running straight into a Lightning Bolt after giving away a land, and also increases the density of cheap spells in our deck. If you ever lose a game of Burn with cards in your hand there’s a big problem. Decreasing the number of two-mana spells that can get stranded is important. Wild Nacatl, for its part, is almost exclusively out of the question because we won’t have enough spells for the Reveler. Rather than list out every matchup and what would come in/out, I’ll talk about why each card is in the sideboard. This primarily comes in against decks where Searing Blaze doesn’t kill their creatures. I like to bring them in against decks with delve creatures (Tasigur, the Golden Fang, Gurmag Angler), Tarmogoyf, Primeval Titan, Wurmcoil Engine, and decks that are likely to be playing Kor Firewalker. Although you’re not cold to a resolved Firewalker, it is obviously a very difficult creature to beat. Path to Exile is the most efficient removal you can play but it doesn’t do any damage so it’s really only worth a card if you couldn’t kill the creature with Searing Blaze. There are three exceptions to this rule: Death’s Shadow Zoo, Bant Eldrazi, and Infect. Most of their creatures die to Searing Blaze but I complement it with Path to Exile in these matchups. Infect and Death’s Shadow Zoo play so few threats that a well-timed removal spell can often set them back way too far to win the game anymore. On the play, a one-mana creature into Searing Blaze on their mana guy can quickly end a game. It’s pretty obvious these are for the mirror, but I’m also a fan of bringing them in against some decks that lean heavily on red removal spells. I’ve brought them in against Mardu style control decks whose main form of interaction is Lightning Bolt, Lightning Helix, and Terminate. That being said, I’m not sure if it’s necessary to do that anymore since Bedlam Reveler can easily put you back into the driver’s seat in those games. An efficient attacker that also happens to wreck serious havoc on Affinity. For a long time I leaned on Ancient Grudge, Smash to Smithereens, and other similar effects to beat Affinity but I think that’s the wrong approach. The best card out of the Affinity sideboard is Spell Pierce, and there have been many games where I got blown out by a Spell Pierce but could have easily won the game if I had a Kataki, War’s Wage. This card is very narrow, so you may want to swap it out for some number of Sudden Shock if you feel like your local metagame will have more Infect than Affinity. I will mention that Kataki is a weird card in that it gives an ability to other artifacts, so technically your opponent can “miss” the trigger without you having to announce it. It’s much like a Pact of Negation where it is assumed you chose not to pay and can cause a misstep by your opponent to lose all of their artifacts. There is one maindeck Skullcrack and two in the sideboard because it’s just a terribly inefficient burn spell if you’re not actively stopping any life gain. It is easier to cast than Atarka’s Command which is why I’m giving it priority. With the added damage you will end up taking from Gitaxian Probe, it’s hard to justify so many green spells. Its ability to stop damage from being prevented also comes up sometimes. I bring these in against Soul Sisters (although that deck is kind of impossible to beat), Scapeshift and other Obstinate Baloth decks, Bogles, Kor Firewalker, and the Burn mirror. Pretty much against any deck that’s likely to be gaining 4+ life on a crucial turn, I want access to Skullcrack. Now the hidden mode of Skullcrack is that you can use it to kill Kor Firewalkers that are unfortunate enough to be caught blocking. Protection prevents the damage that would be dealt by the protected source (in this case red) but Skullcrack makes it so that damage can’t be prevented this turn. A Kor Firewalker that blocks any of our two-power creatures can be killed in combat by a timely Skullcrack. This is most flexible sideboard slot and you can bring in any number of them in most matchups and it won’t usually be a dead card. If you think they might have Spellskites, it’s defensible to bring in Destructive Revelry. The deck I bring it in against the most is Ad Nauseam because a lot of their game plan revolves around sticking an enchantment or artifact. Many times they board in Leyline of Sanctity which puts a hamper on your ability to kill them. Leyline isn’t a lights-out card but it can get really awkward when you have to Lava Spike and Searing Blaze yourself to help Monastery Swiftspear get across the finish line. In my experience, players newer to Modern are also more likely to bring in Leyline even in decks that shouldn’t necessarily have it in their sideboard. I have played against Jeskai and Mardu control decks at SCG Opens playing Leylines against me. Finally, Destructive Revelry is also a pretty easy card to bring in against Bogles. We need to find something to replace the 4 Searing Blaze. Oh, I have such great memories of this card from Pittsburgh. Many people thought they had the game in the bag until they realized their creature was actually attacking them. This card is not very good if you draw too many of them but the one copy is just right. It’s great against Infect because it doesn’t target the creature. Short of a Spell Pierce or a Dispel, the creature is likely to be dealing damage to your opponent (not in the form of poison counters either!). Not targeting is also great against Bogles and it prevents all the damage to help buy precious time against a lifelink enchantment. You can also Deflecting Palm an Emrakul, the Aeons Torn, Primeval Titan, or Griselbrand with generally good results. The one deck I would probably not bring it in against where it might seem good is Tron. You have many ways to deal with a Wurmcoil Engine and it is unlikely you will have any white sources in play when they cast World Breaker and Ulamog, the Ceaseless Hunger. Most of the time you are in too much of a losing position to leverage a Deflecting Palm at that point. I don’t have any hard and fast rules when it comes to sideboarding. I think it’s important to keep sideboarding guides loose because there are so many ways to approach a match and what I do in my situation might not work out well for you. If you’re interested in a more in-depth Burn article sometime just let me know in the comments. Generally, Searing Blaze comes out when it’s bad (big things, hexproof, not many creatures, etc). Goblin Guides come out if the opponent is likely to have bigger creatures early (Wild Nacatl Zoo decks usually), especially on the draw. You can shave Bedlam Revelers if you need to be quicker. Skullcrack comes out when the text outside of dealing 3 damage doesn’t matter. With the maindeck inclusion of Bedlam Reveler, we lose a little bit of speed when we draw too many of them early. One in our opening hand is also an effective mulligan if we’re playing against a faster deck where we won’t have time to cast it. For now, I think it’s the best bet against the field I expect in Orlando, and we’ll see how it fares in the developing metagame. My sideboard configuration definitely makes concessions to certain matchups, and I’m hoping simply to dodge the ones I’ve made myself softer to. Notably we’re missing Atarka’s Command, Rest in Peace, Grafdigger’s Cage, Grim Lavamancer, and Lightning Helix. Giving up traction in some matchups helps us make sure we never lose to the ones we expect to face the most. 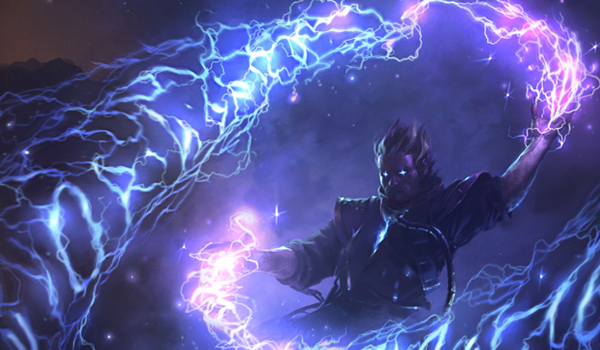 Modern is unfortunately a format with way more possible opposing decks than sideboard cards. Trying to beat everything at once will often end in disaster. Sometimes you just have to get lucky and play matchups that are favorable for your chosen archetype/build. Nice to see Bedlam Reveler get some love. It feels like such a strong card, yet I haven’t really heard much about it making a splash yet. Best of luck! I’ll be trying a couple in a Mardu control brew, though only at small, local, Regular REL events. I like the idea to put Reveler in a burn deck and was praticing with a list similar to yours. Reveler is great with Gitaxian Probe but I dont know if I like to run 4 Probes in a deck with the full set of Eidolon. Brought this list to my local FNM, 2-1 with it, not disappointed, it’s still burn! And draws cards! DRAWS MANY CARDS!